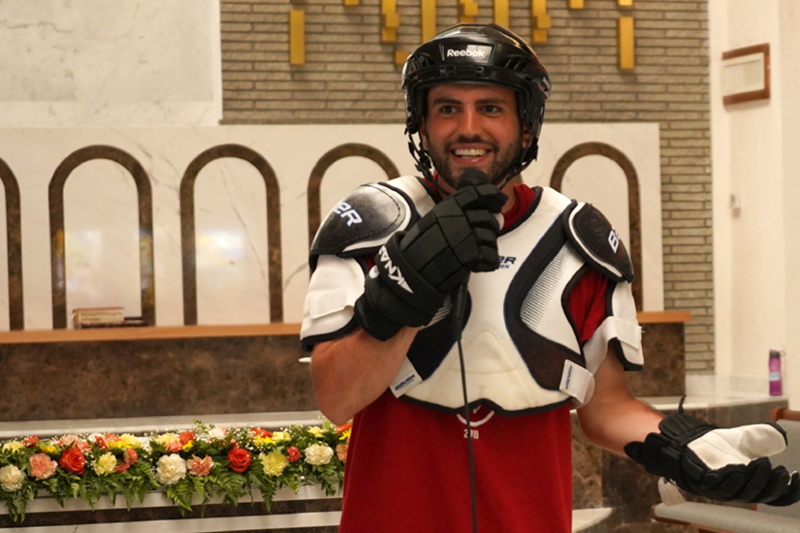 His father went on occasion to check in with the family business. 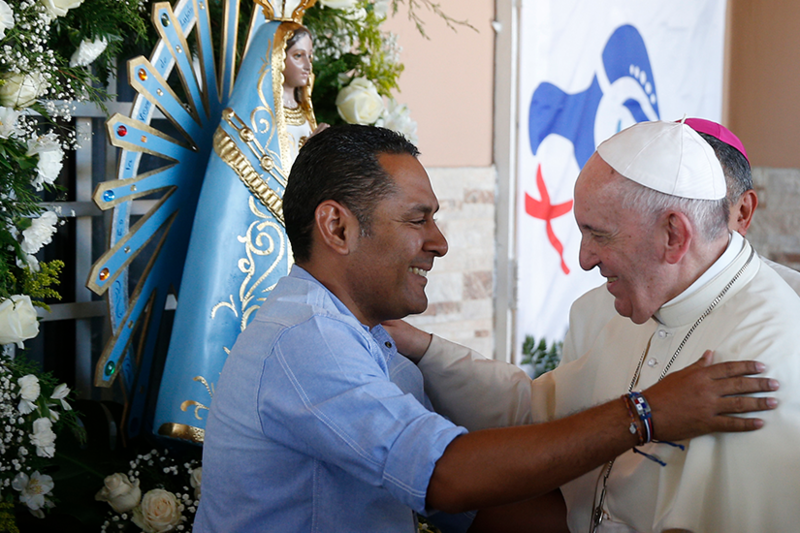 His older brother went to visit about four years ago but Murillo couldn’t get days off work to go with him. 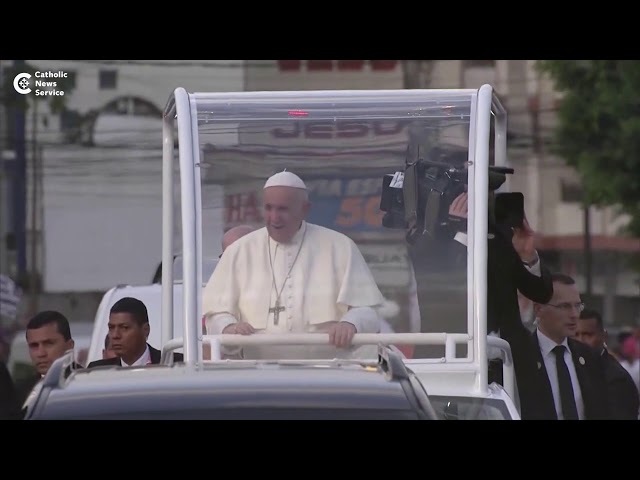 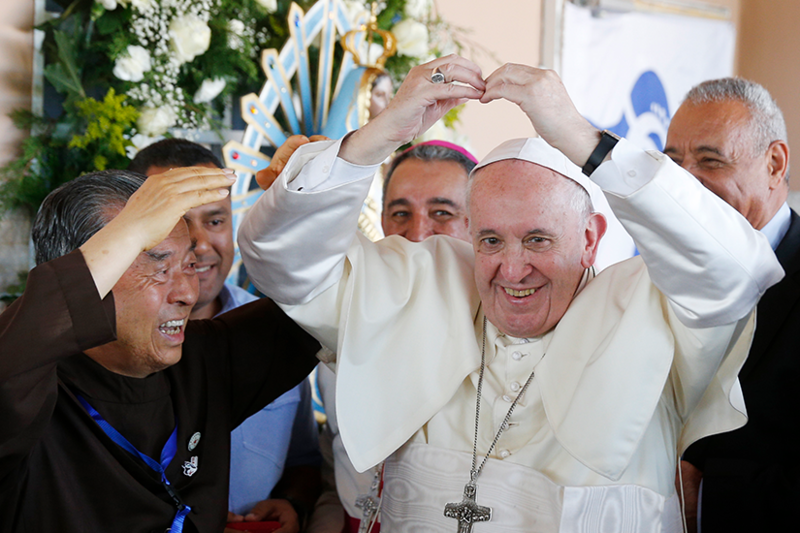 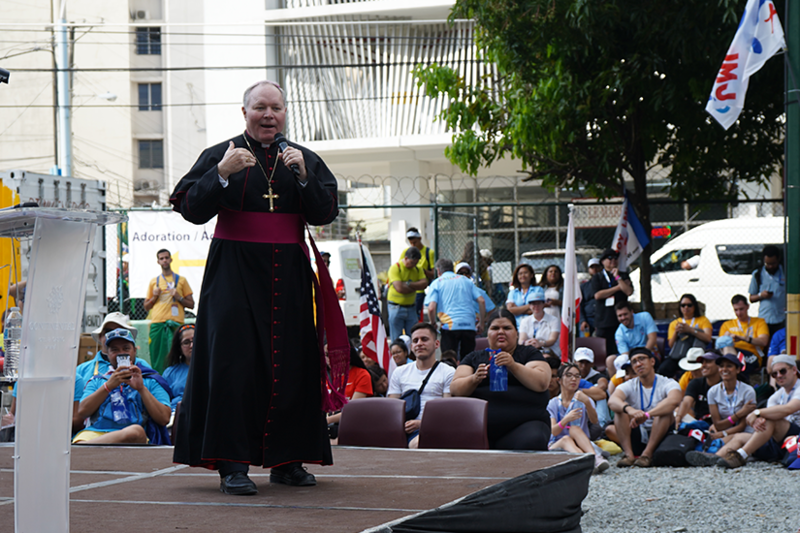 But in just a few days, Murillo will join millions of Catholics at the small port city in Central America to celebrate the largest international gathering of the Church. 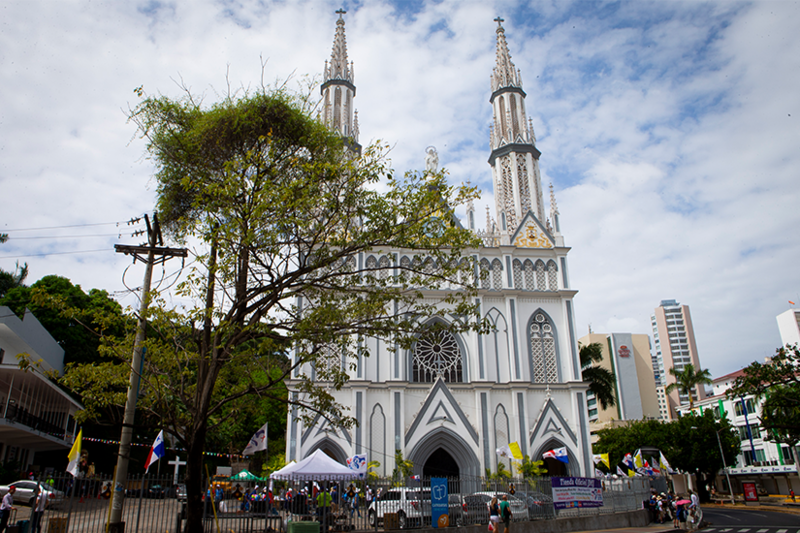 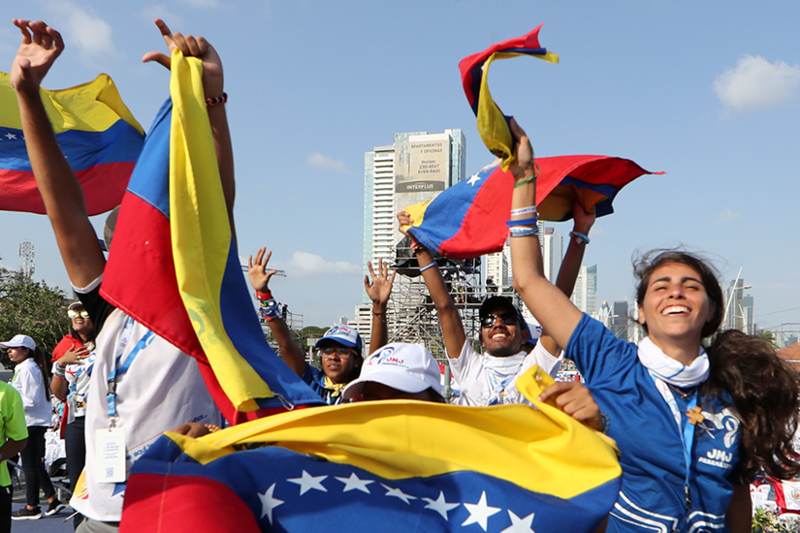 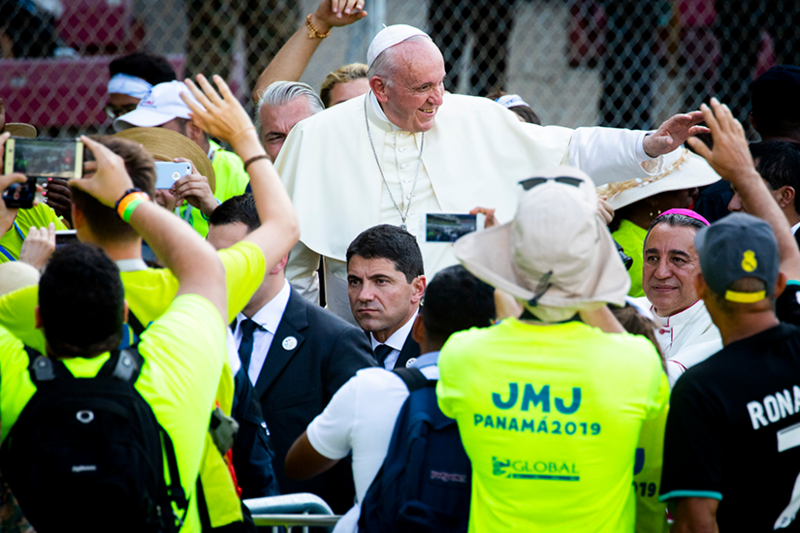 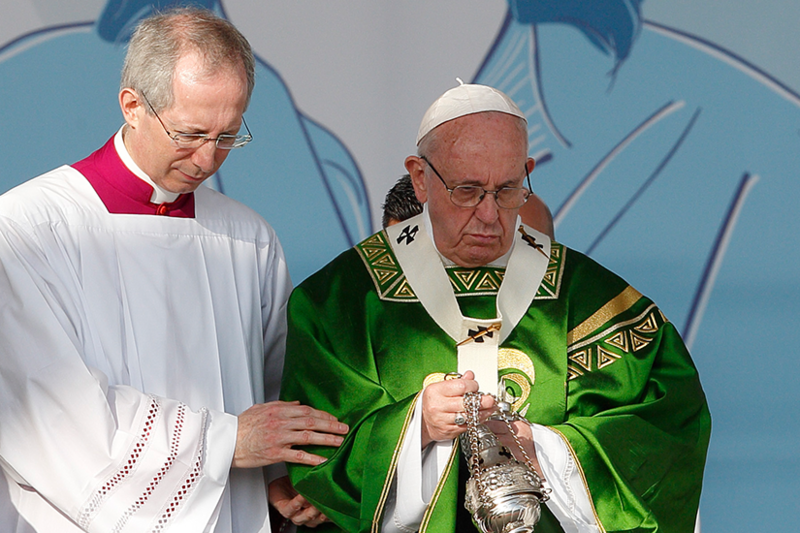 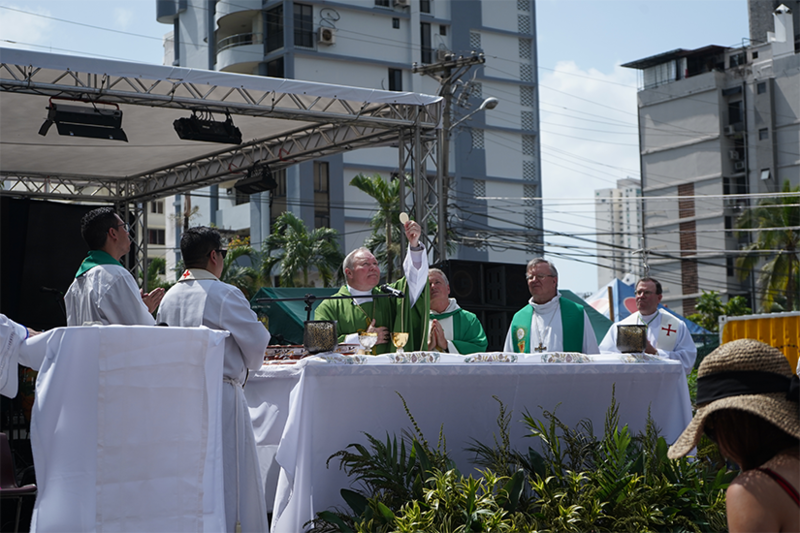 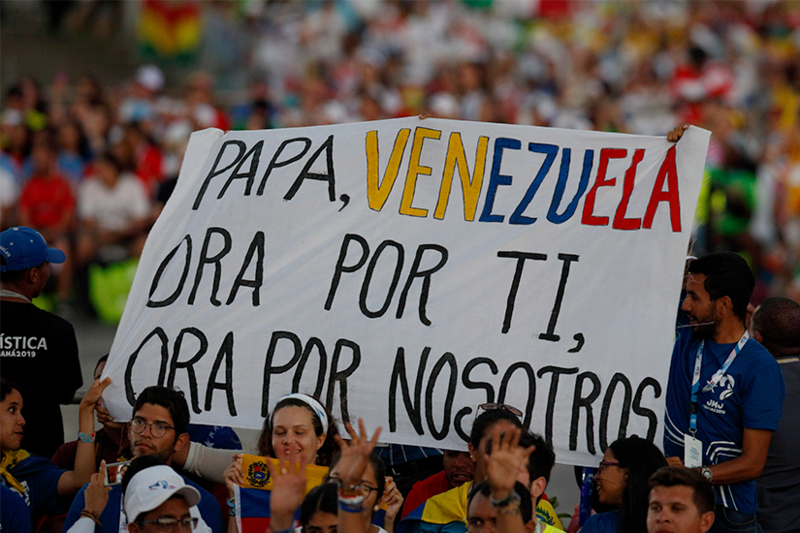 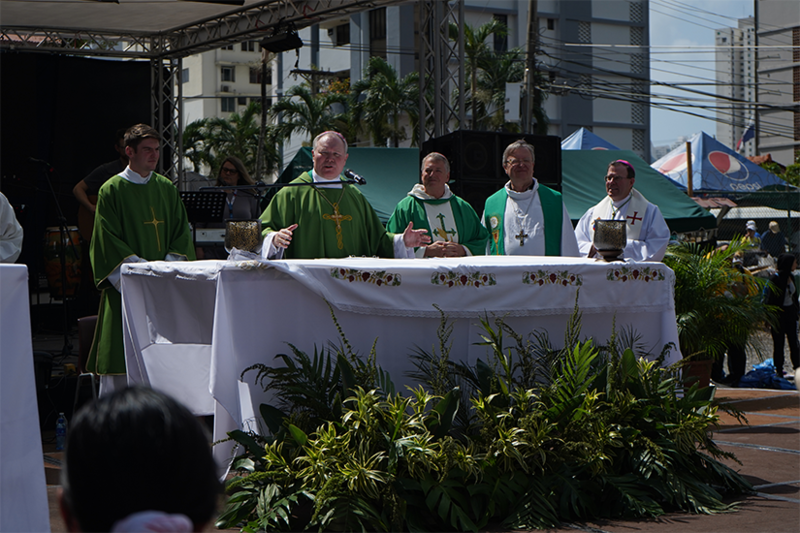 Panama City, Panama, will be hosting a week of WYD celebrations from Jan. 22-27. 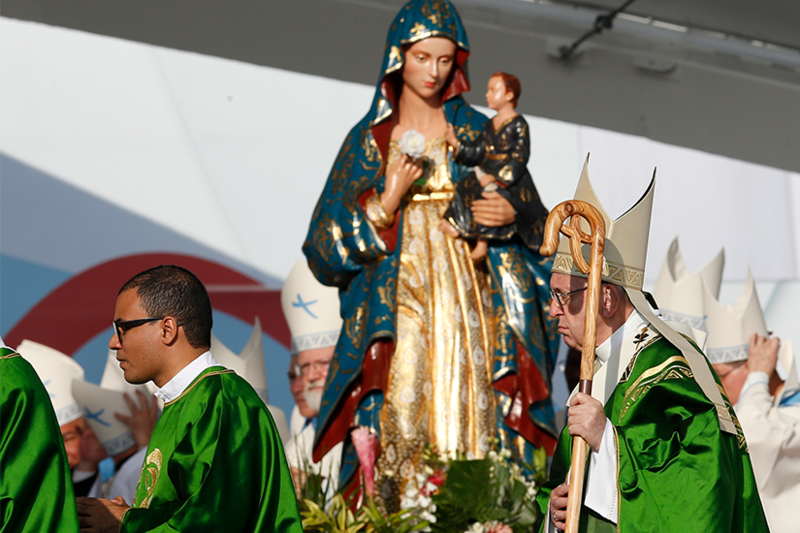 It’s the 16th edition of the gathering that was inaugurated by Pope John Paul II in 1984 in Rome. 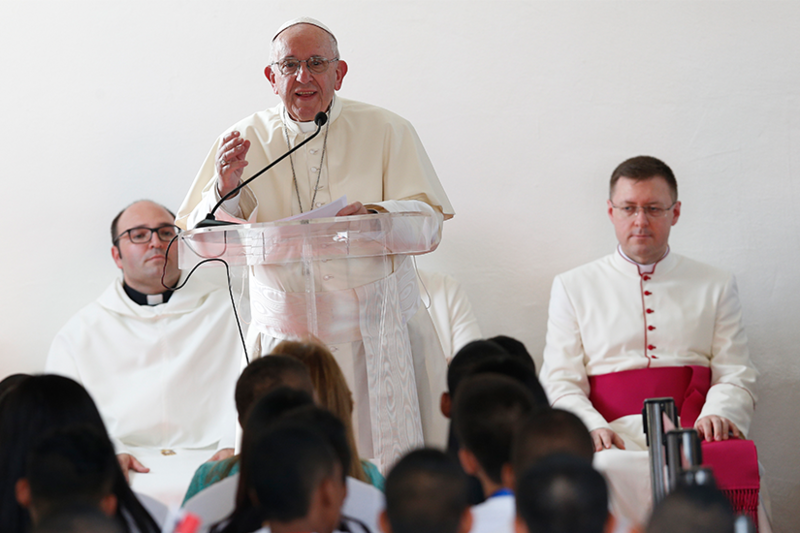 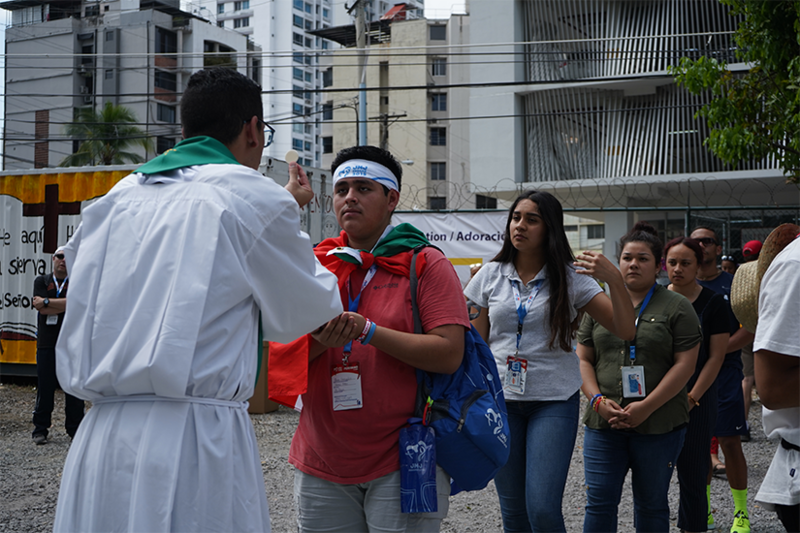 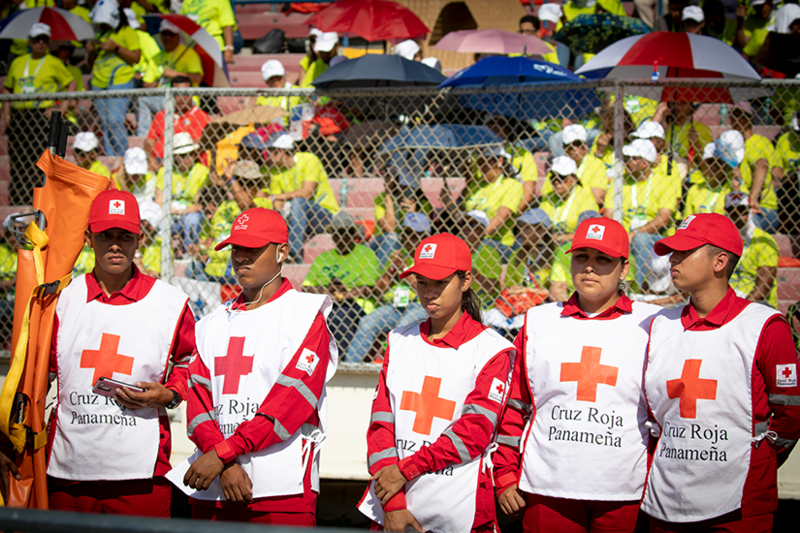 As much as Murillo has been preparing for his first-ever WYD during the past year, his family and friends in Panama have been steeped in preparations for the event for two years. 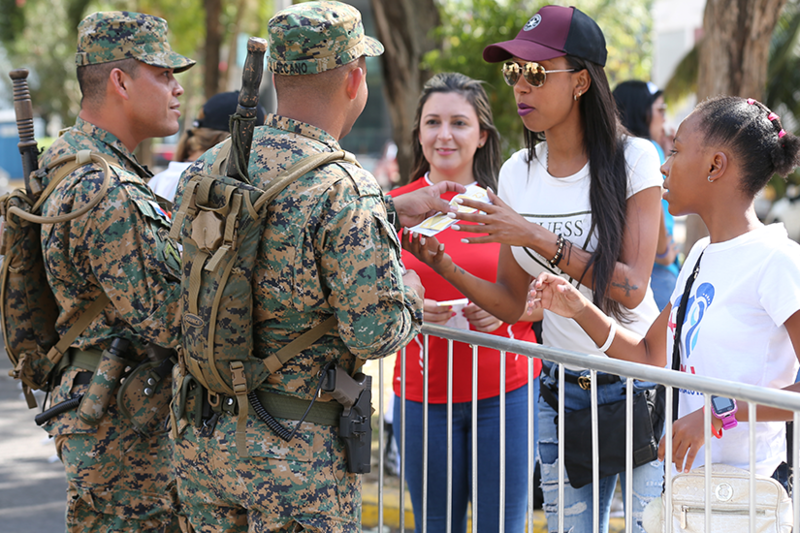 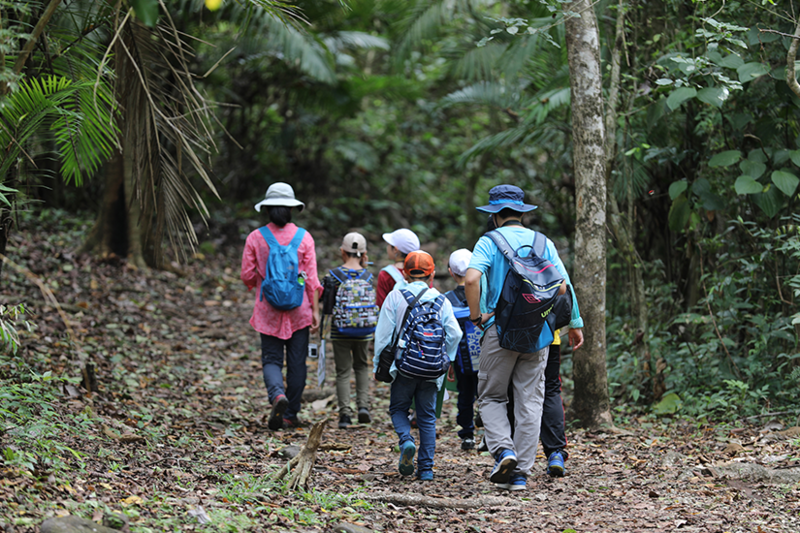 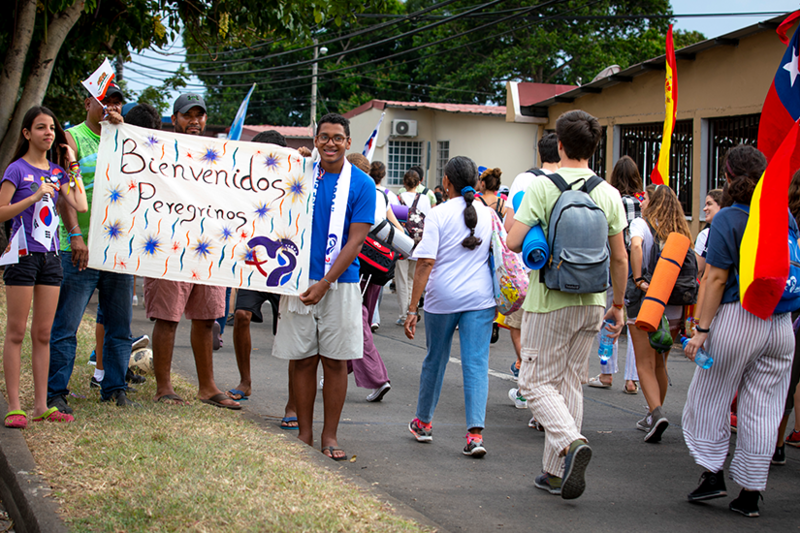 Many Panamanian families are opening up their homes, local parishes, school gyms and community centres, anticipating the huge influx of pilgrims that are making their way to the city. 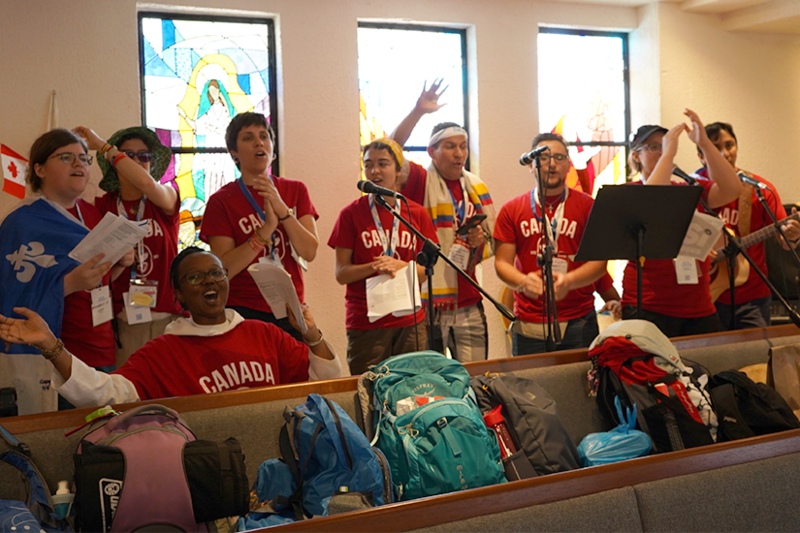 Murillo is travelling to Panama with 15 others from a young adults group which formed last year out of a Spanish Charismatic Renewal group in Brampton, Ont. 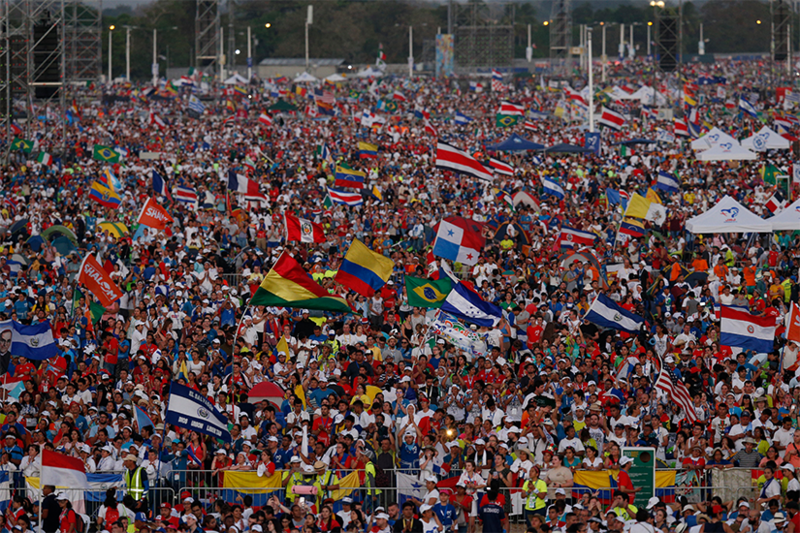 All the pilgrims in his group are Latin American and are excited to celebrate WYD so close to home. 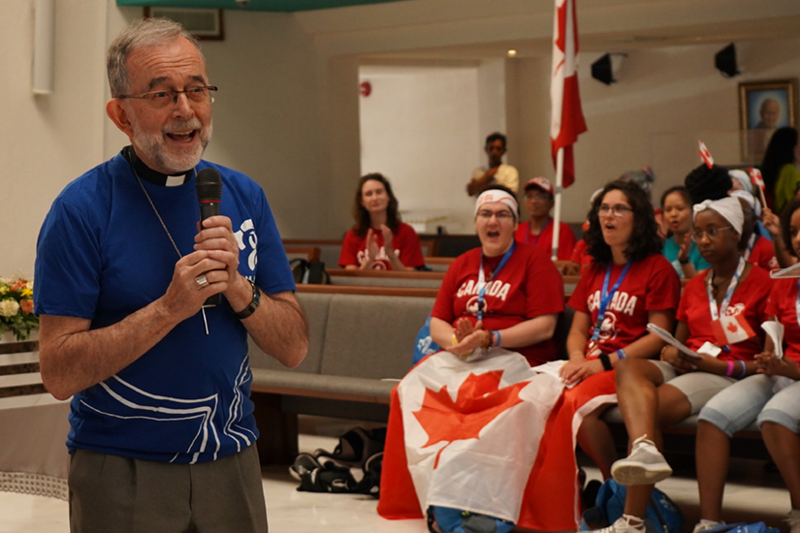 In the past year leading up to their pilgrimage, the group has been working hard to raise money for airfare. 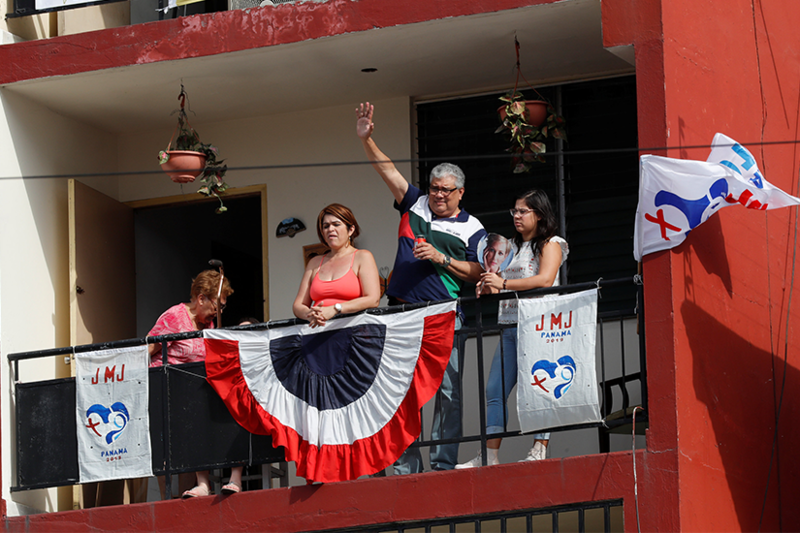 Murillo will save money by staying with family and friends in Panama City. 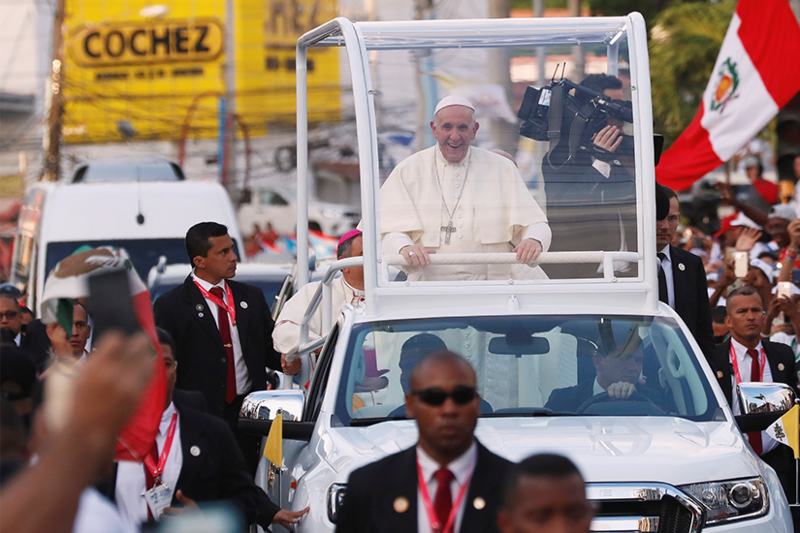 It will cost him about $1,000 to cover his plane ticket and his pilgrim registration fees. 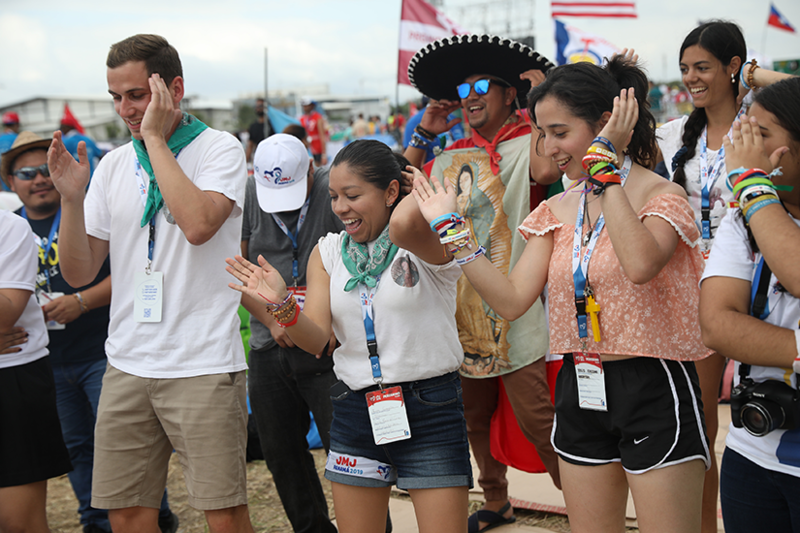 Many pilgrims who are also students on tight budgets can travel to Panama for WYD week for about $1,500 to $2,000. 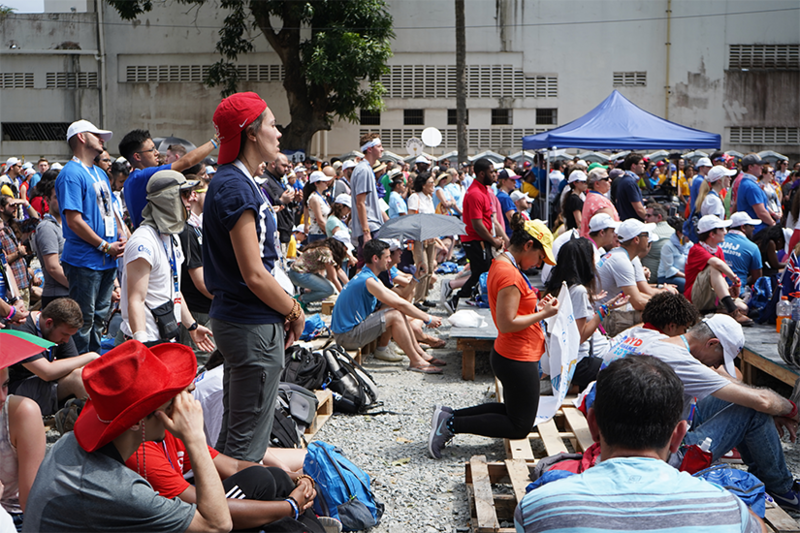 There are also pilgrim groups who extend their pilgrimage to Days in the Diocese which takes place a week before the main events. 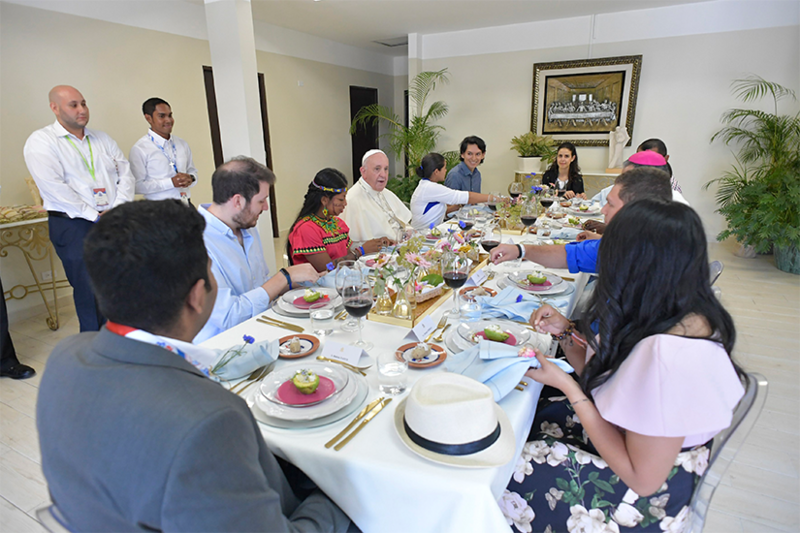 Those trips can cost up to $3,000 to $4,000 per person, depending on housing arrangements, from hotels to hostels to people offering space in their homes. 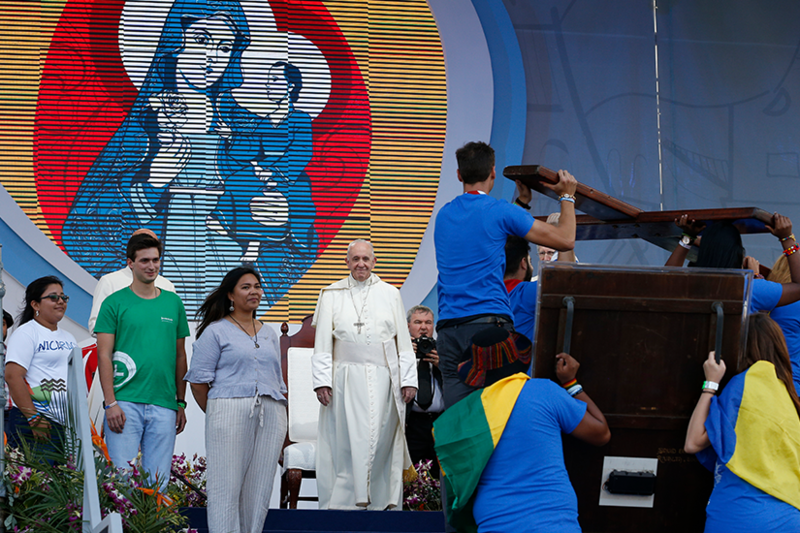 Part of the WYD experience is about sacrifice, said Murillo, whether that be in comfort, patience or finances. 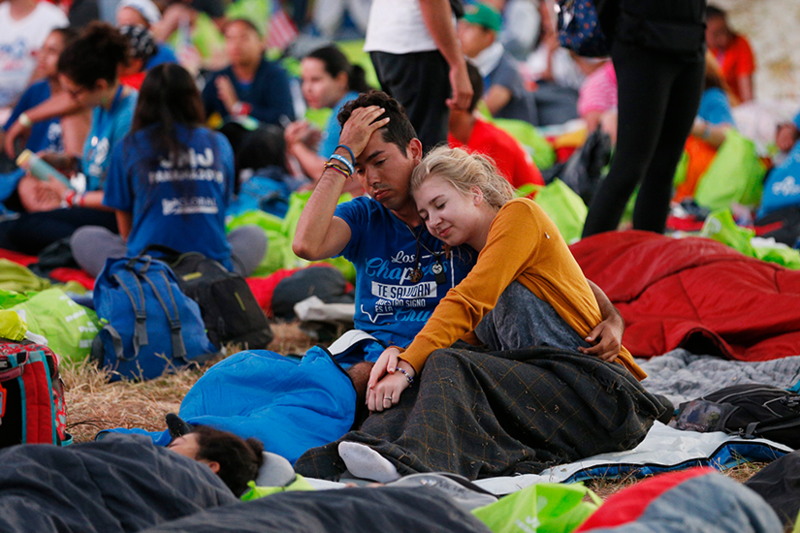 Which is why he and his group believes that a pilgrimage begins before they even leave home. 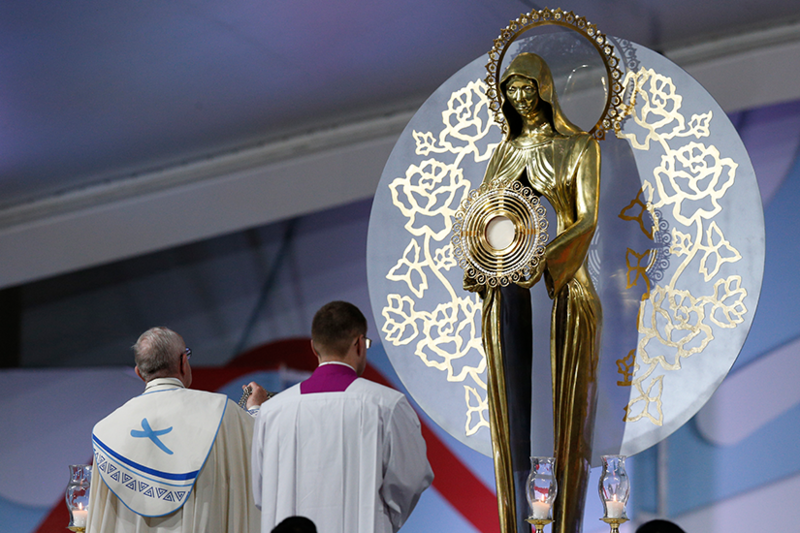 The group has also been preparing themselves spiritually, spending an hour in Holy Adoration every Tuesday for the past year. 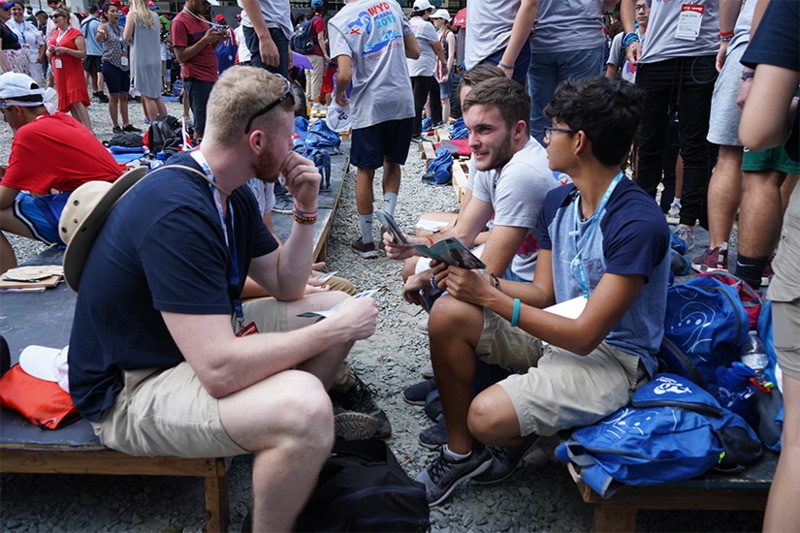 In the past few weeks, they’ve also been praying a novena together based upon each of the WYD patron saints — St. John Bosco, Bl. 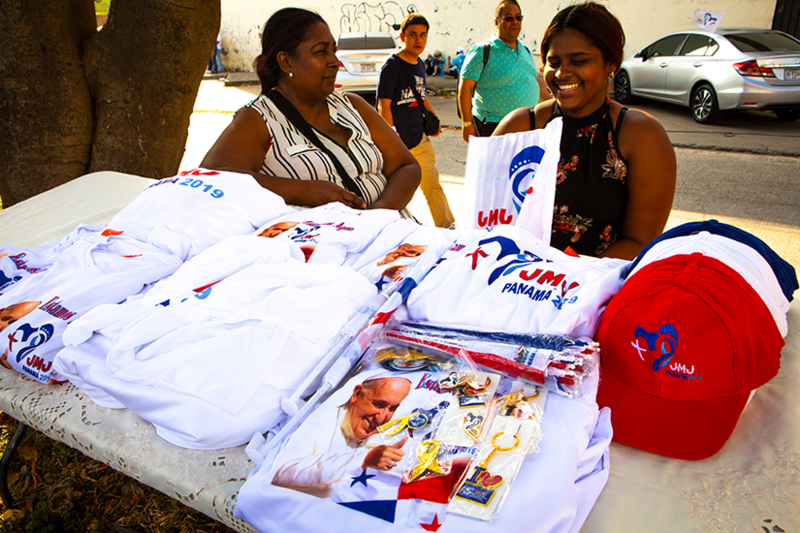 María Romero Meneses, St. Oscar Romero, St. John Paul II, St. Joselito, St. Juan Diego, St. Rose of Lima and St. Martín de Porres. 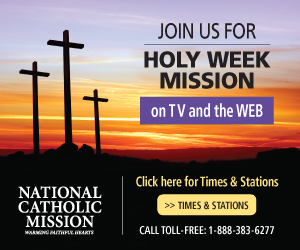 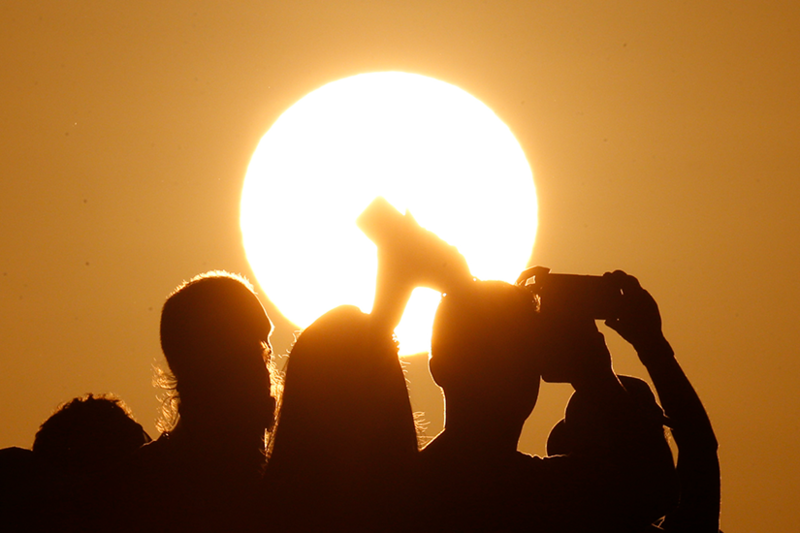 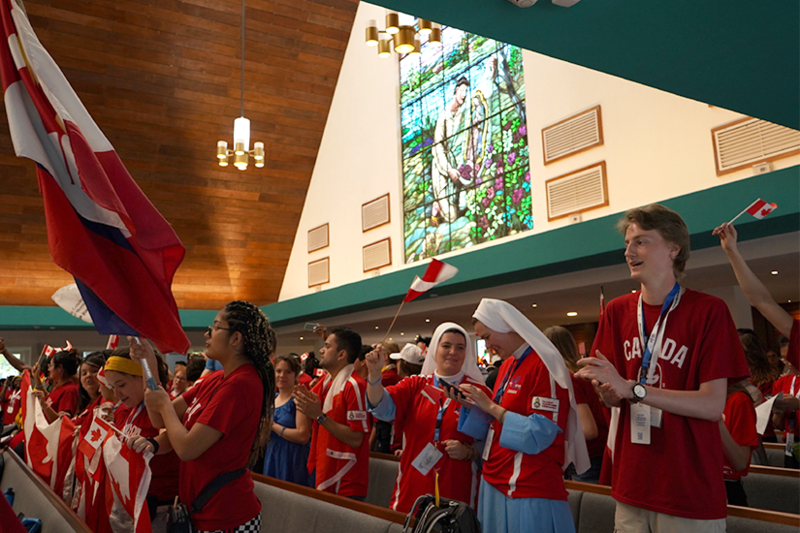 More than 1,300 Canadians are making the pilgrimage for the week of celebrations. 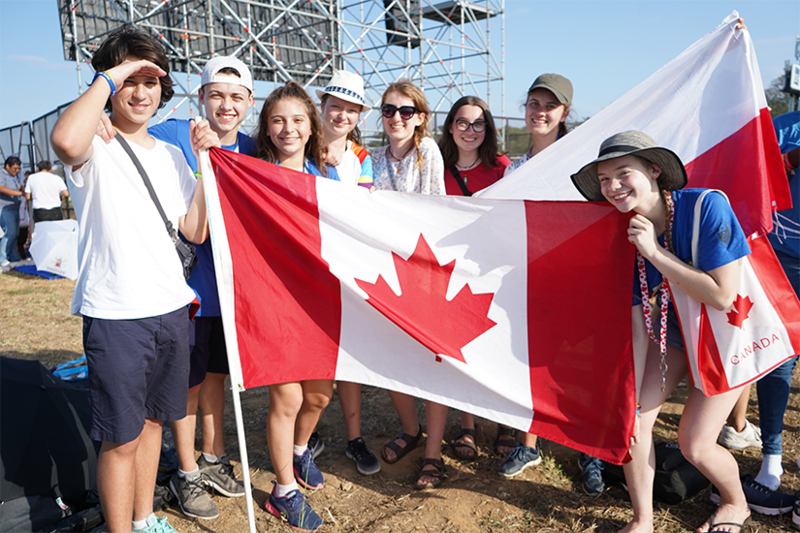 This is less than half of the 3,700 Canadian pilgrims who travelled to Poland for WYD in July 2016. 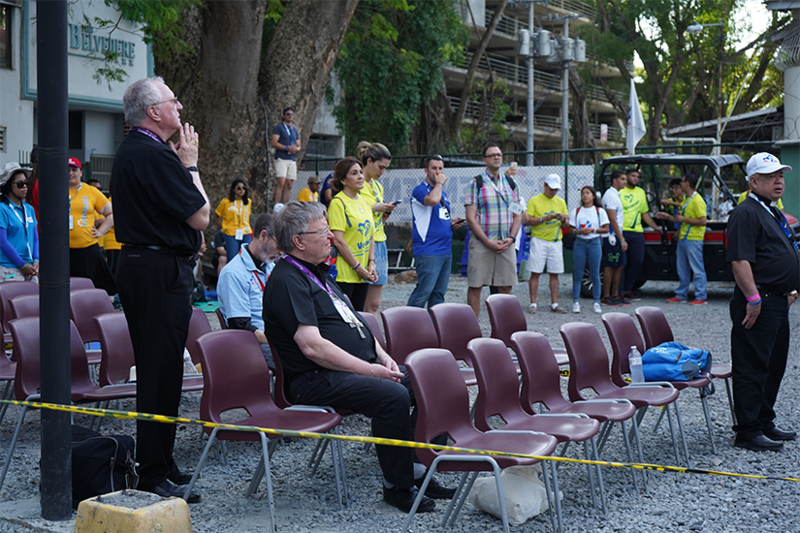 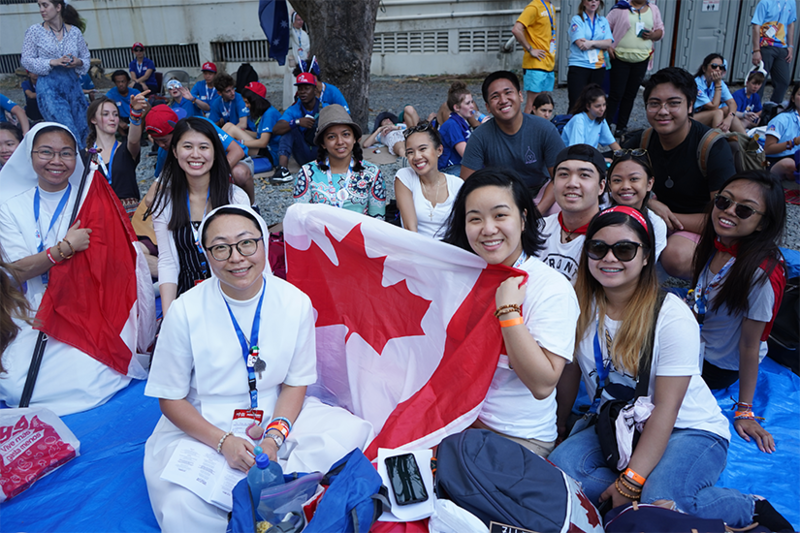 The lower numbers are due to many factors, said WYD Canada co-ordinator Isabel Correa. 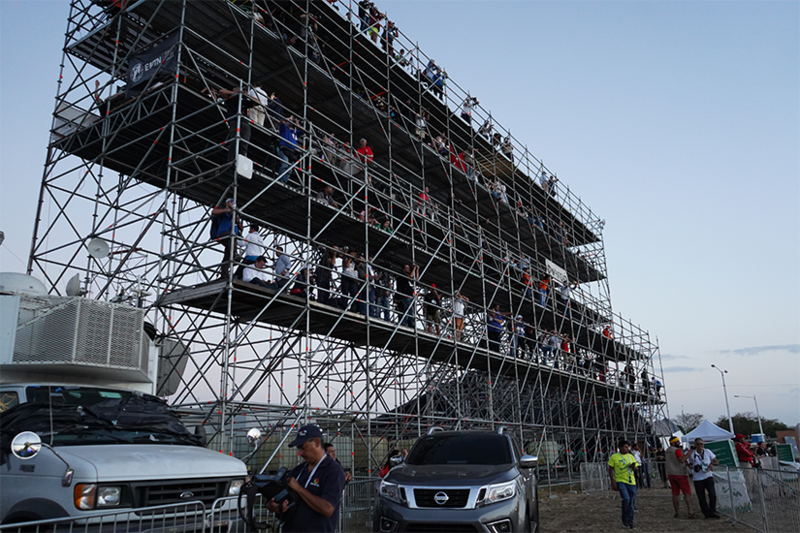 The first obstacle is timing. 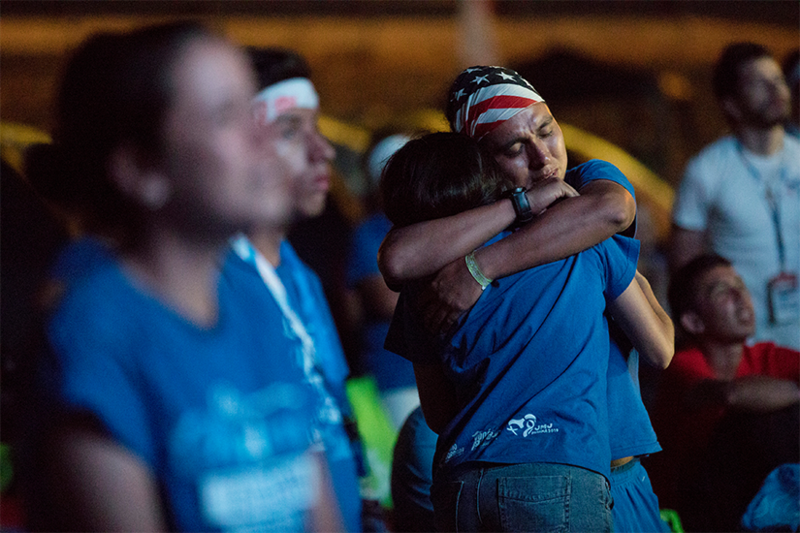 January is a difficult month for young people, especially those in high school or post-secondary institutions. 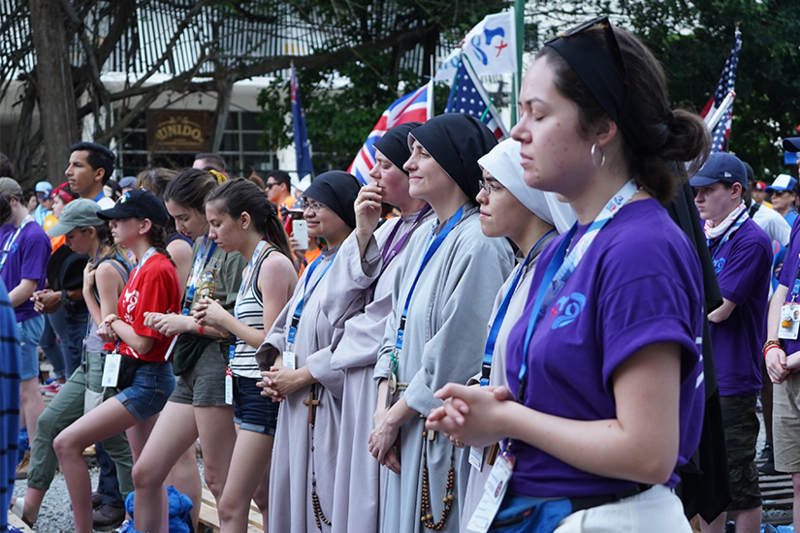 WYD typically takes place in July or August. 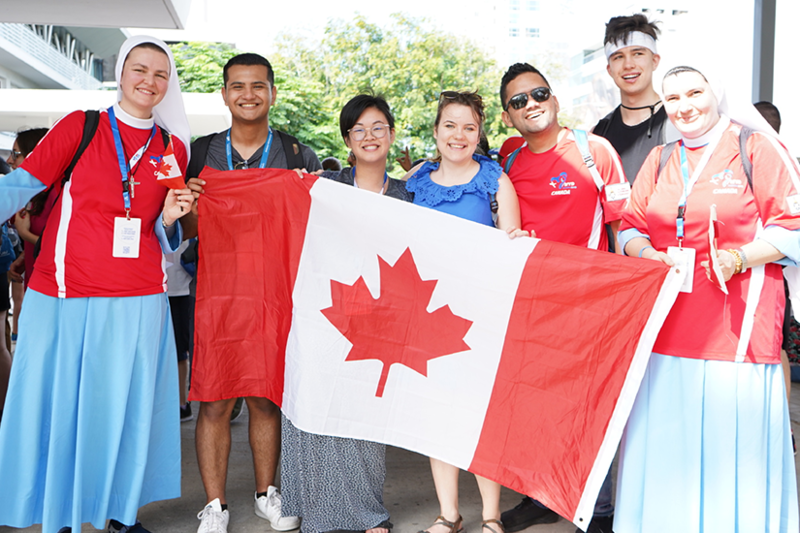 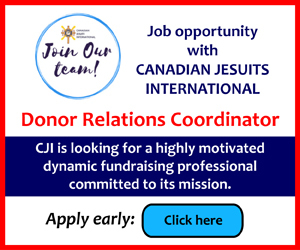 Correa said because of the awkward winter timing — which also occurred in 1995 in Manila, Philippines — Canadian pilgrim groups found it difficult to promote and fundraise for the pilgrimage. 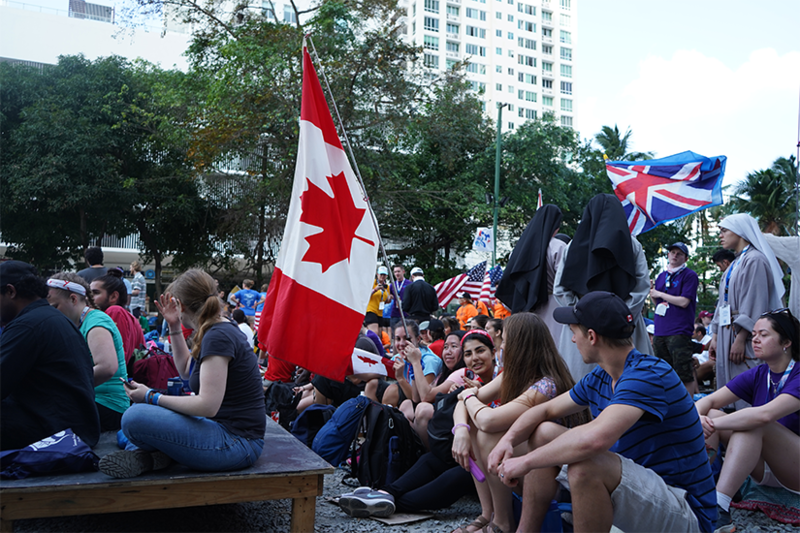 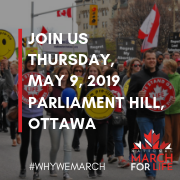 She referred to a similar dip in numbers in 2013 for Rio de Janeiro where only about 1,000 Canadians attended after 6,000 Canadians went to Madrid in 2011. 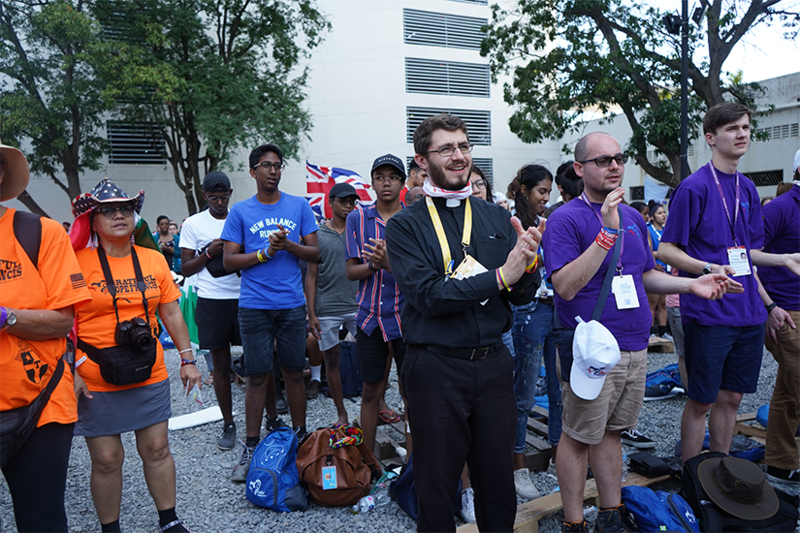 WYD can be a life-changing experience, said Correa, who has participated in seven international WYDs since 2002 in Toronto. 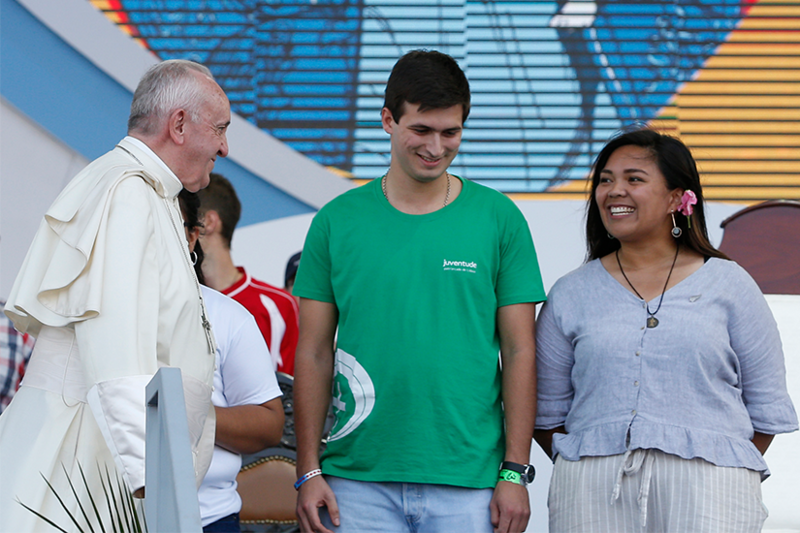 Celebrating one’s faith among millions of faithful young Catholics from around the world can be truly empowering. 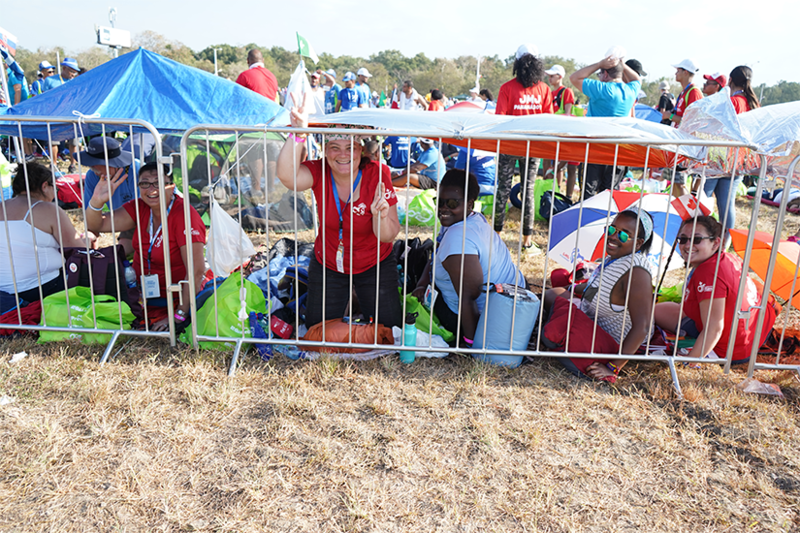 She said she has heard countless stories of people coming back from WYD inspired to take up leadership roles in the Church. 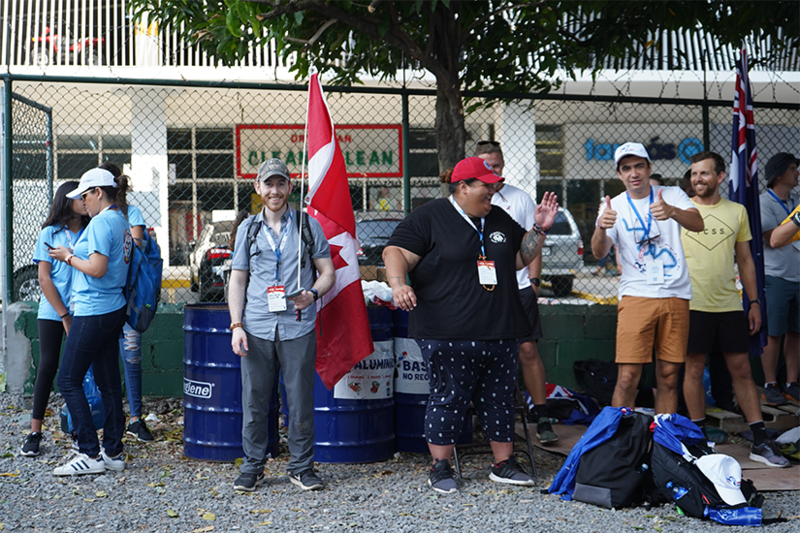 “The biggest motivator for me is the fact that I had the chance to do it ... and I don’t know if I’ll ever have another opportunity again,” said 20-year old Austin Arsenault. 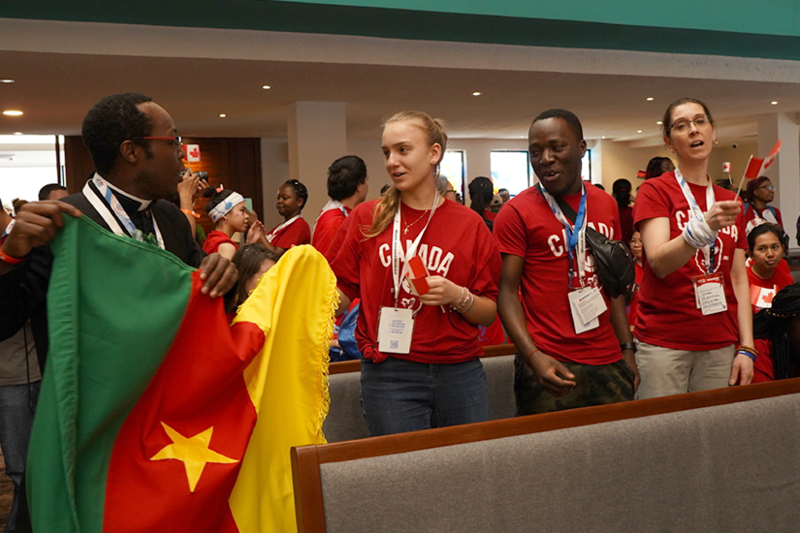 Arsenault is a first-year philosophy student with a minor in Chinese language at Concordia University in Montreal. 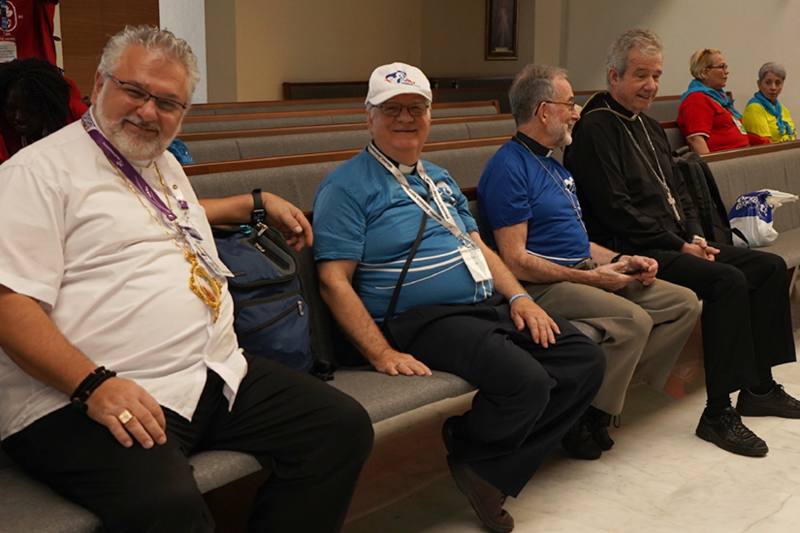 He will be travelling with seven other pilgrims from Our Lady of Perpetual Help in Châteauguay, Que. 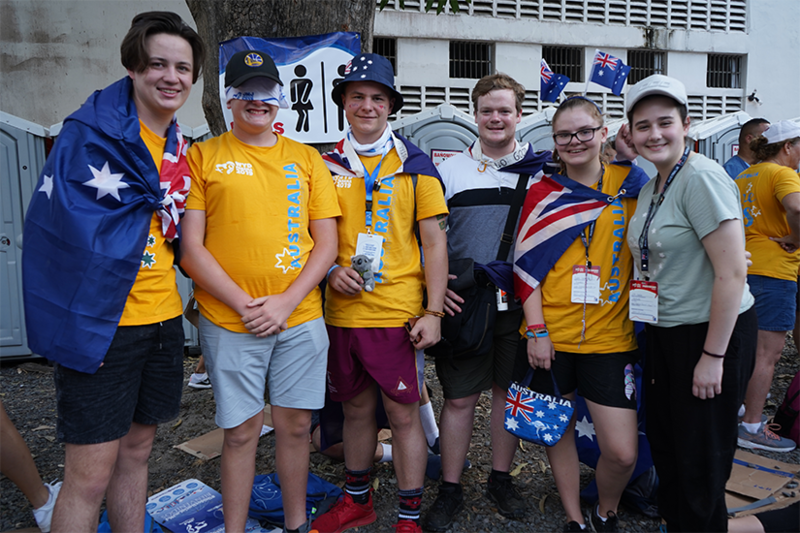 Most of the group are high school and university students. 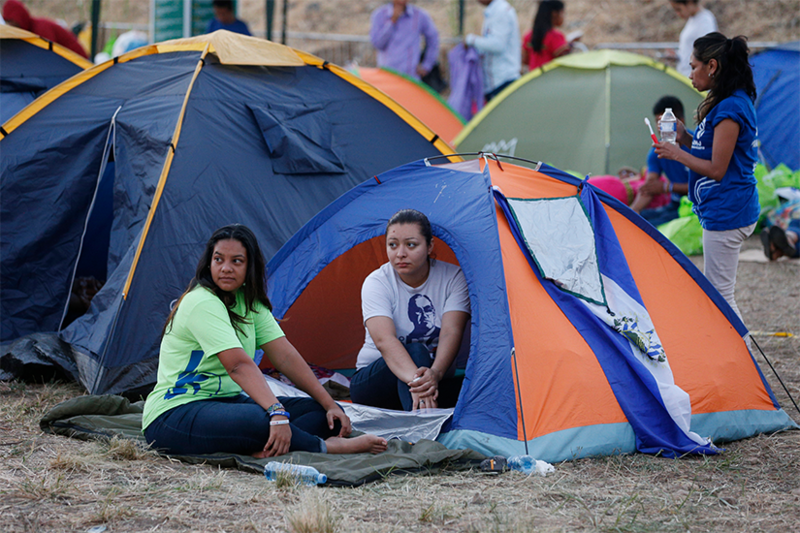 They all had to sacrifice missing school to be able to attend. 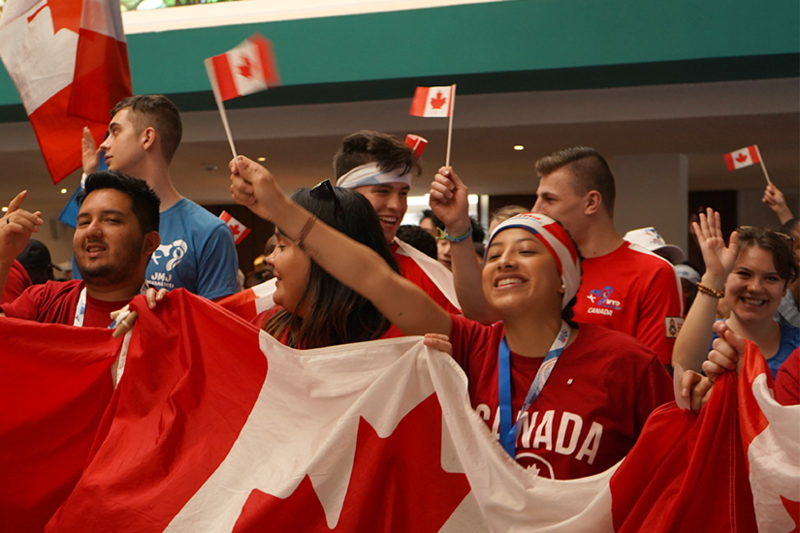 Arsenault said the group also had to limit the amount of time for their pilgrimage. 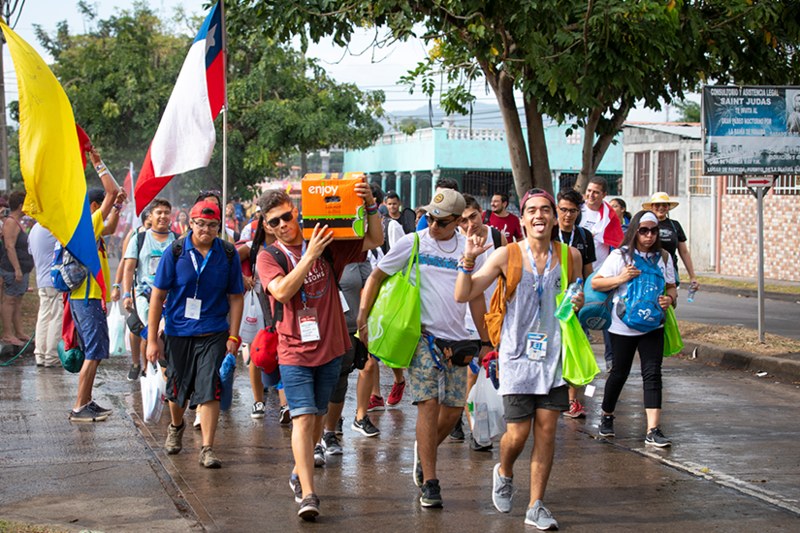 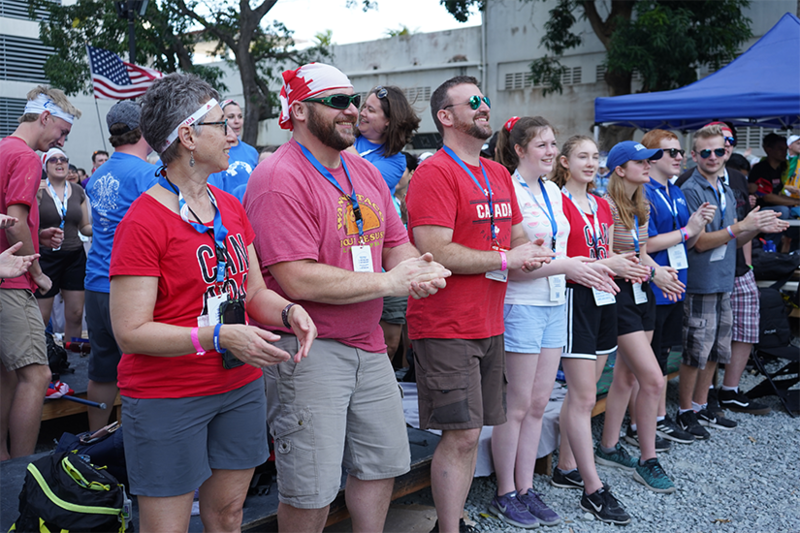 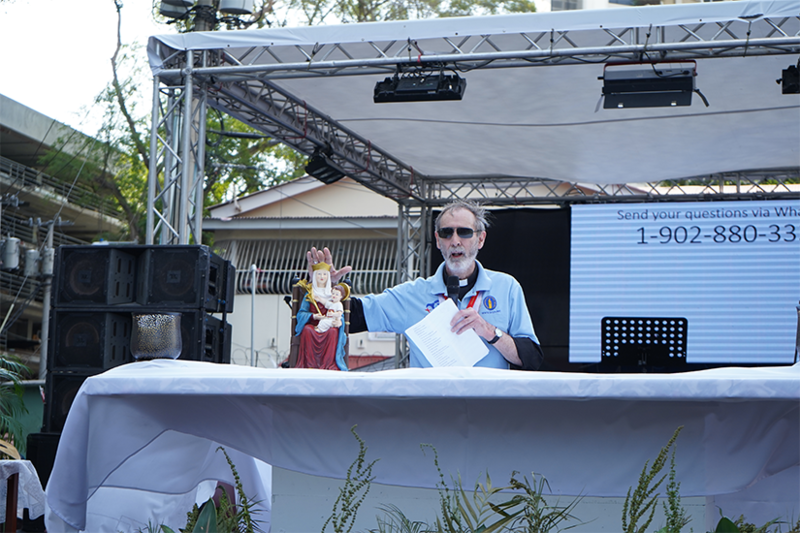 They had to make the sacrifice of not participating in Days in the Diocese in Panama in which pilgrims often spend the week before WYD volunteering in the local parishes. 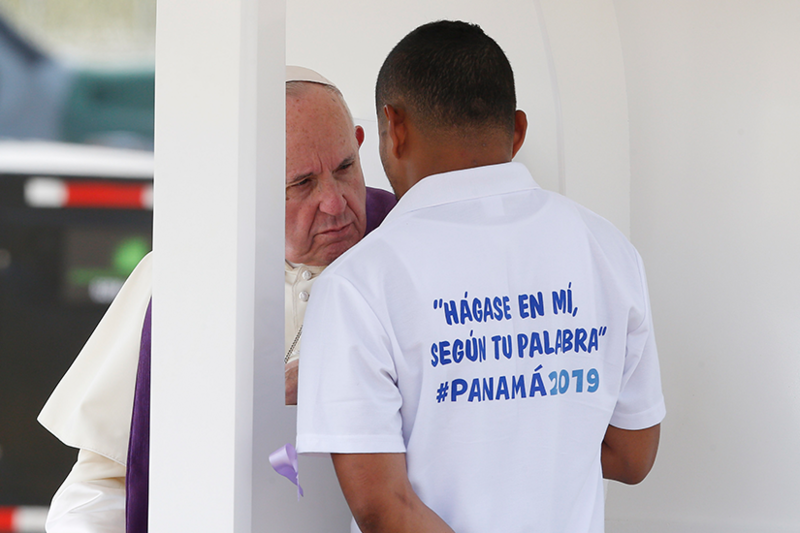 Main events during the week will take place in Panama’s Cinta Costera, a coastal beltway that stretches about three kilometres along the waterfront. 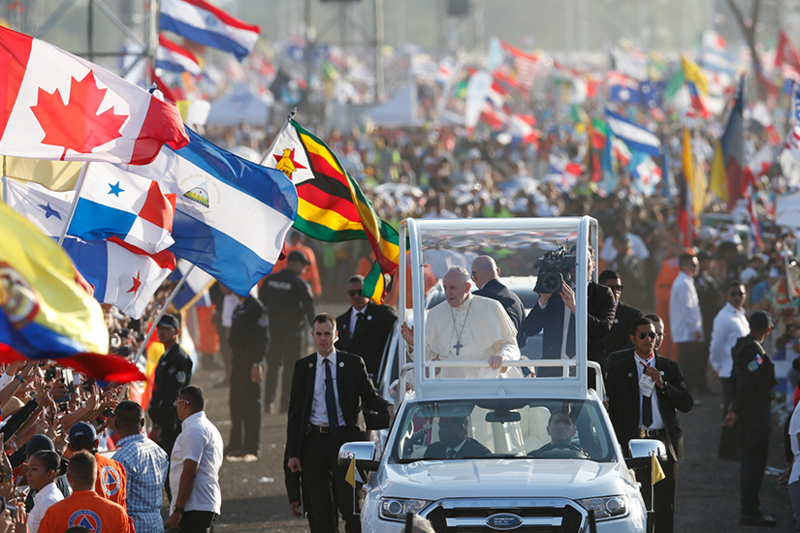 This beltway, which is made up of 64 acres of park land, will host the opening ceremonies (Jan. 23), the papal welcome (Jan. 24) and the Stations of the Cross (Jan. 25). 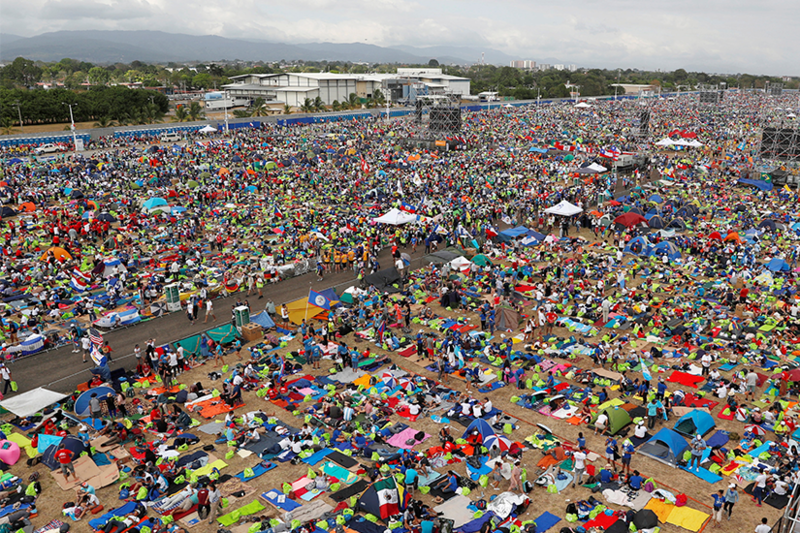 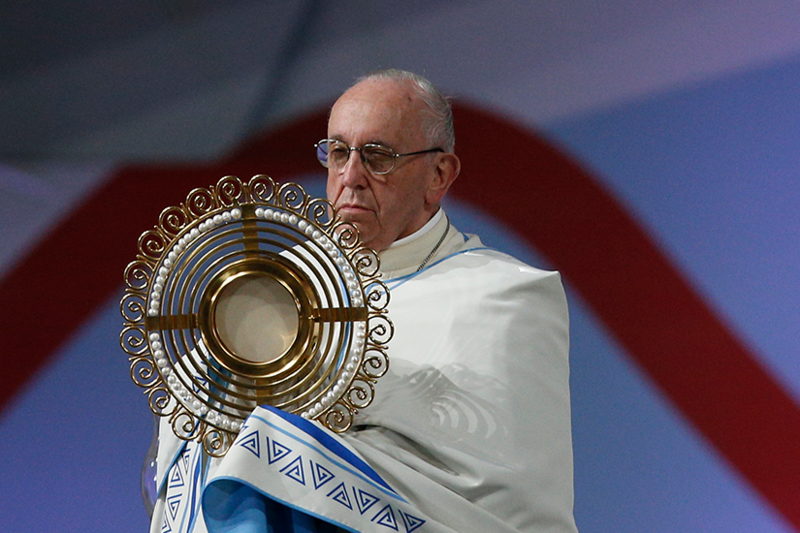 The Papal Vigil (Jan. 26) and Closing Mass (Jan. 27) will take place at San Juan Pablo II field in Metro Park. 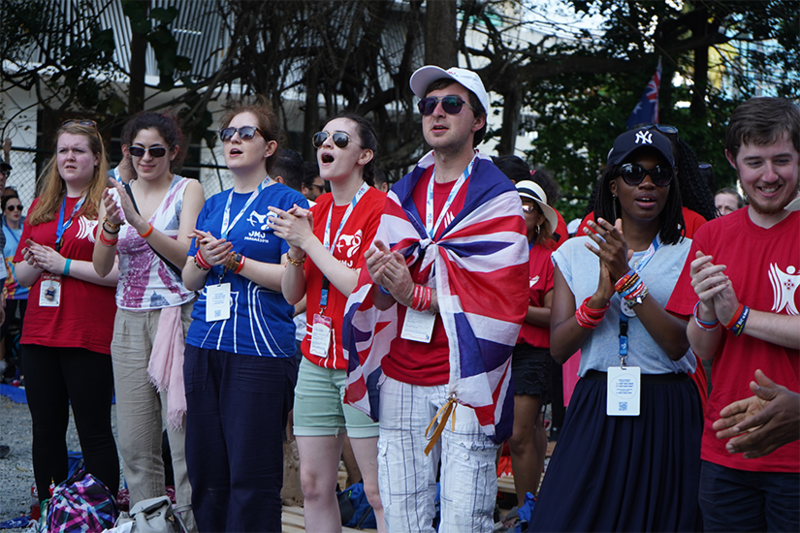 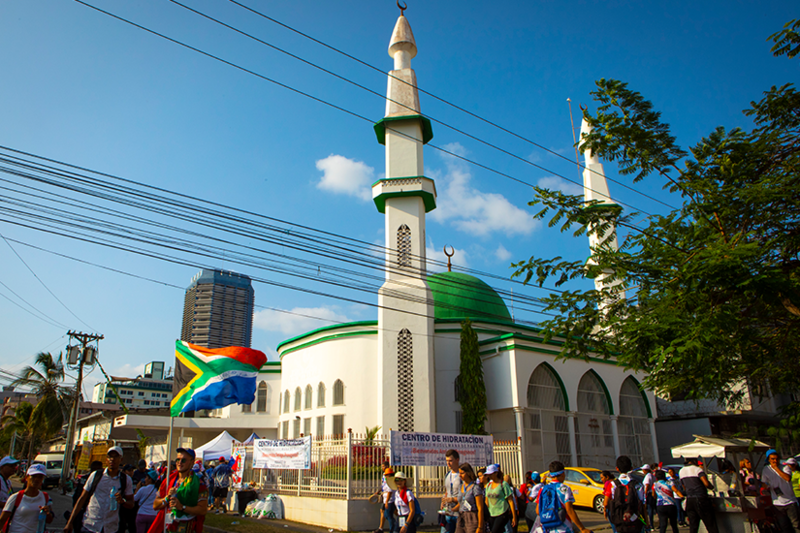 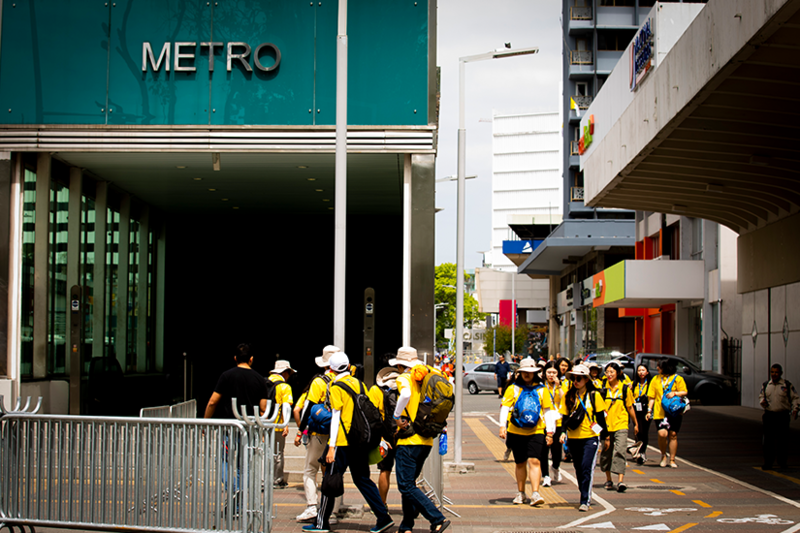 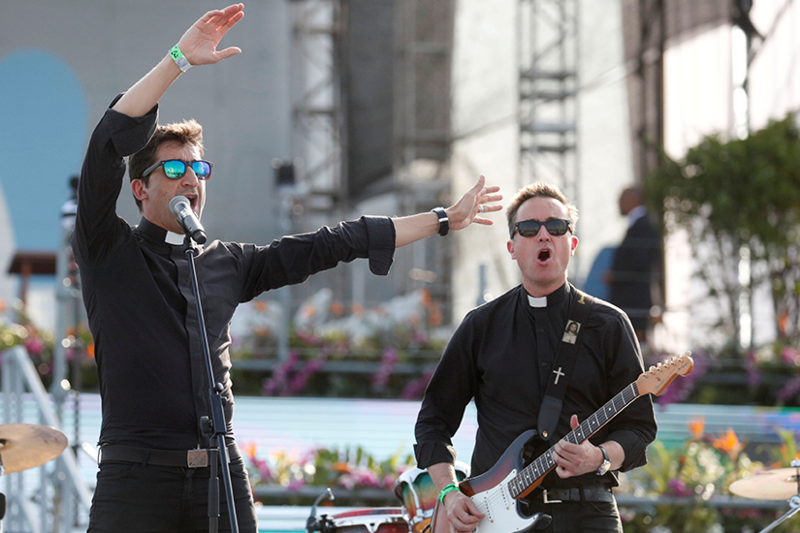 One of World Youth Day’s highlight events is the Youth Festival. 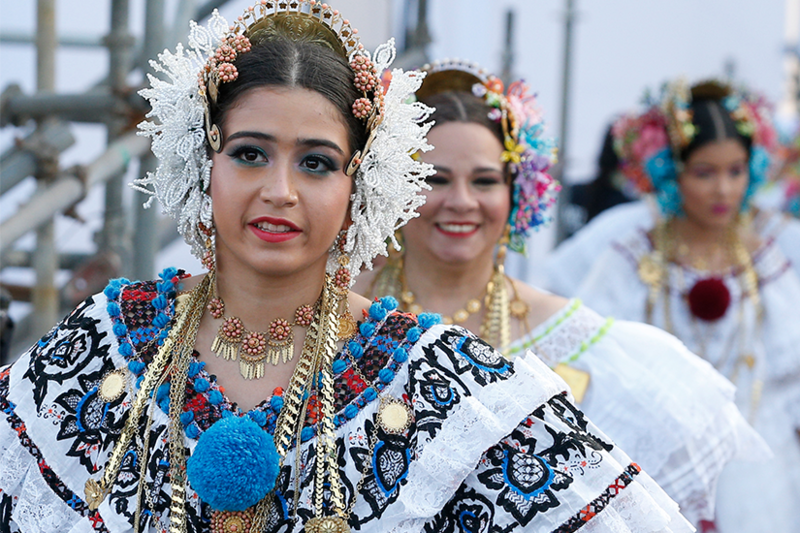 Seven official stages, five commercial centres, three theatres and nine galleries across the city will be showcasing art, music and performances from young pilgrims around the world. 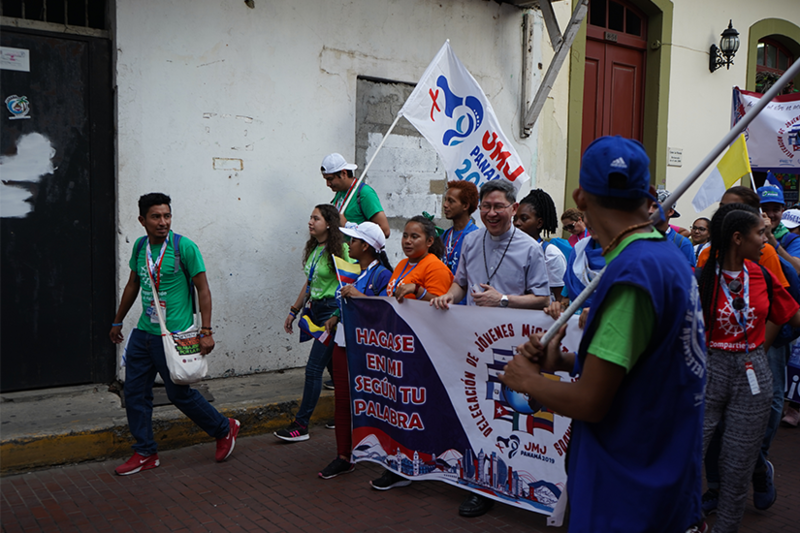 On Jan. 23, the festival has organized a “WYD 2019 Cup,” a soccer tournament for young pilgrims. 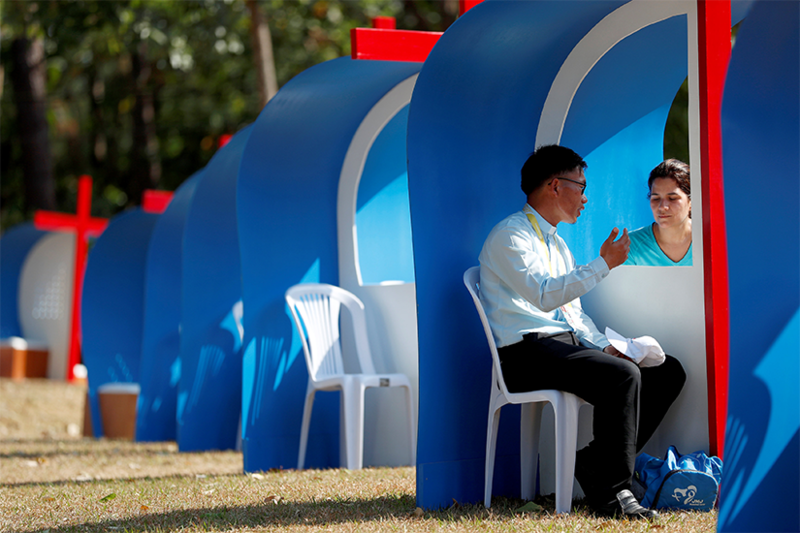 A main attraction that is generating a lot of buzz for the festival is Cristonaut’s theme park which will feature a virtual reality room that will transport users to relive biblical moments like the creation of Adam and Eve and the Annunciation to the Virgin Mary. 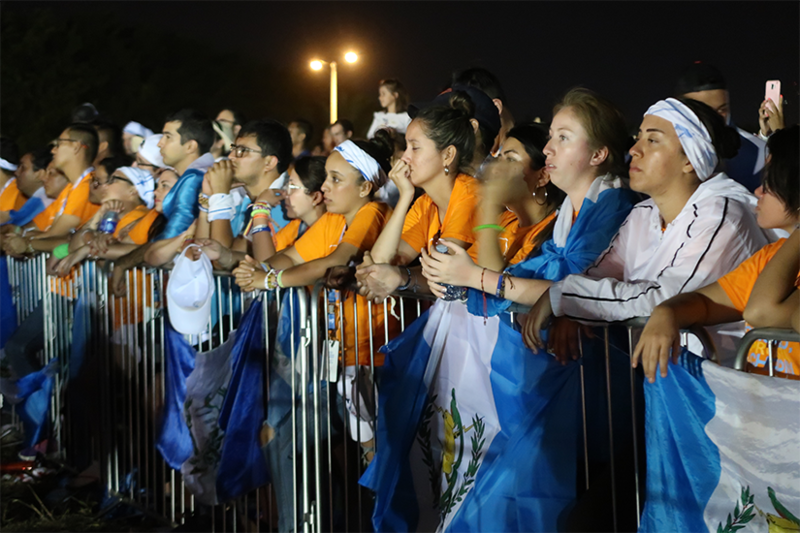 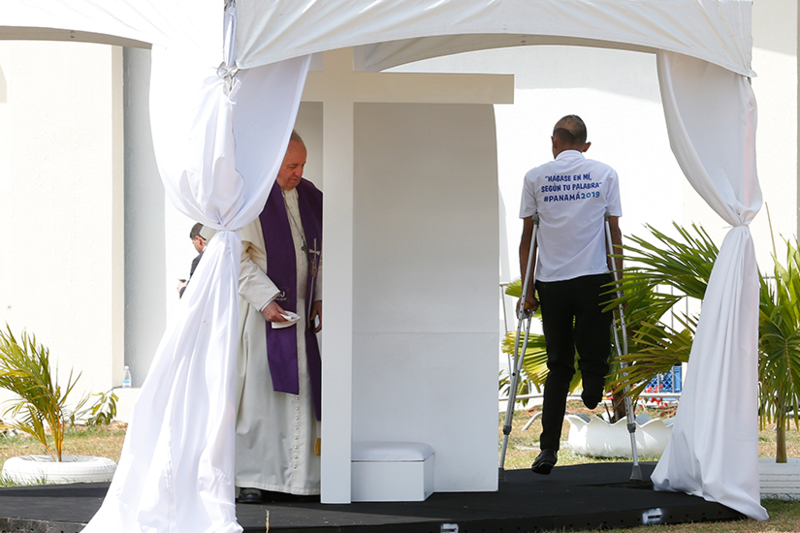 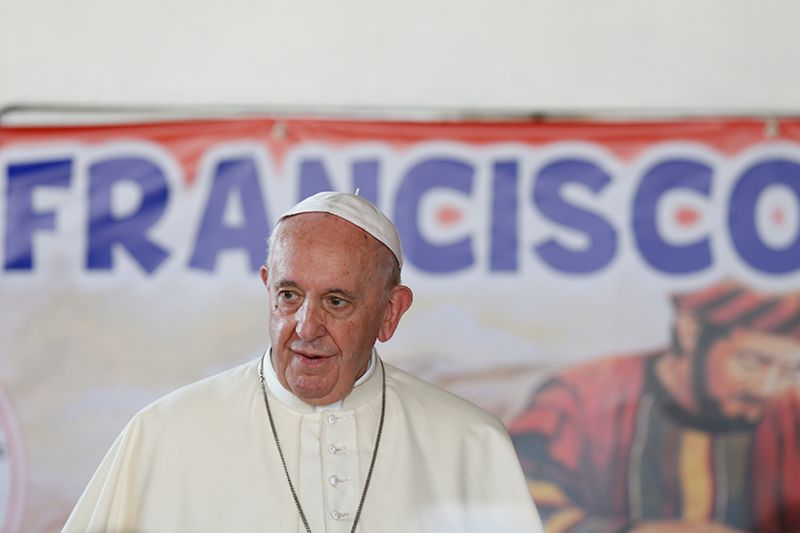 “We are waiting for the Pope and for the hope he will bring for all of Central America,” said Mendieta. 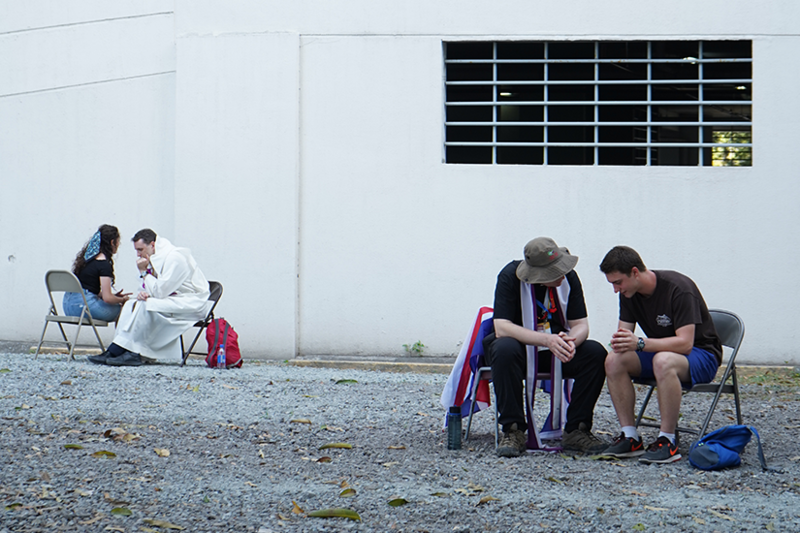 Rachel Wong, 22, said a lot of prayer went into her decision to make the pilgrimage to Panama. 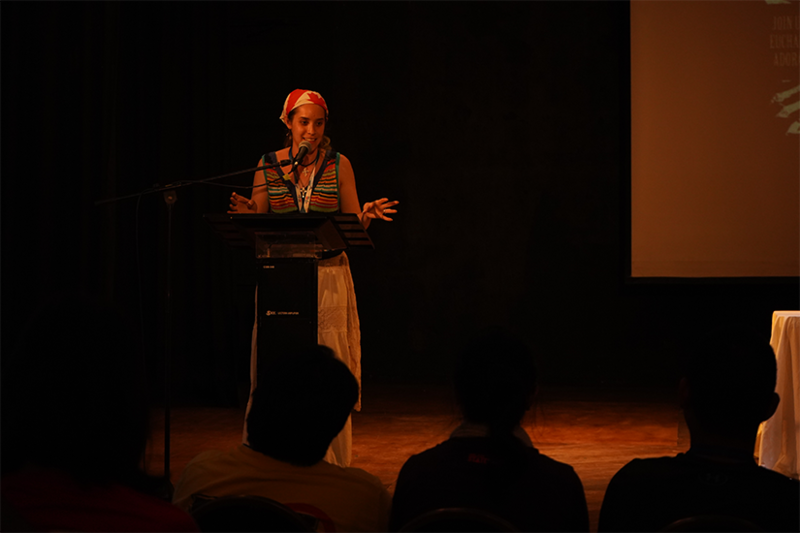 She is currently studying Communications and International Studies in Simon Fraser University in Vancouver. 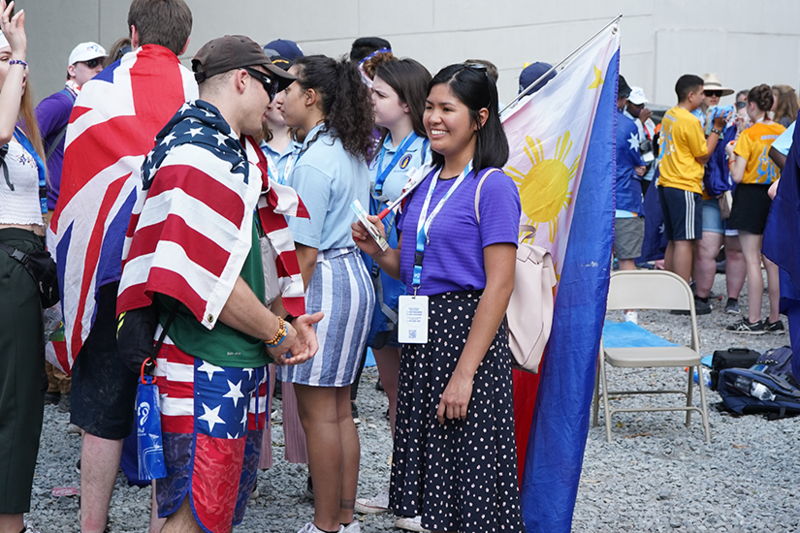 When she first heard that WYD would take place in January, she thought immediately that she couldn’t go. 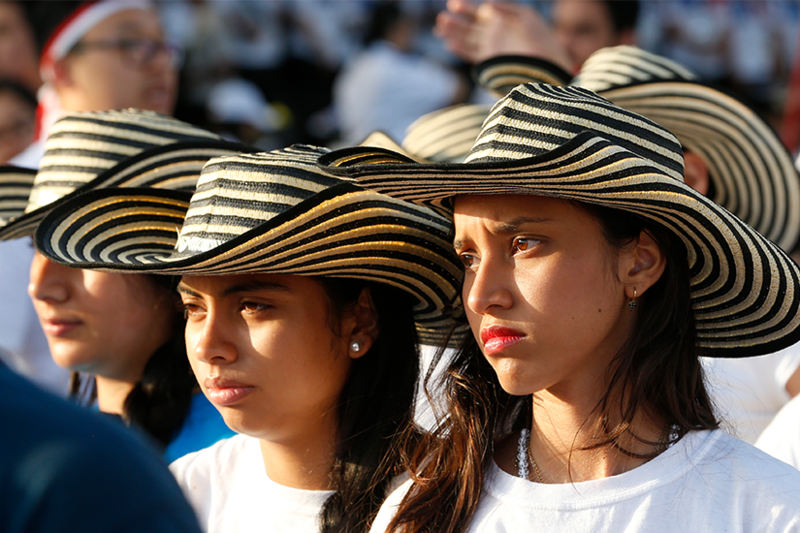 She would miss too much school. 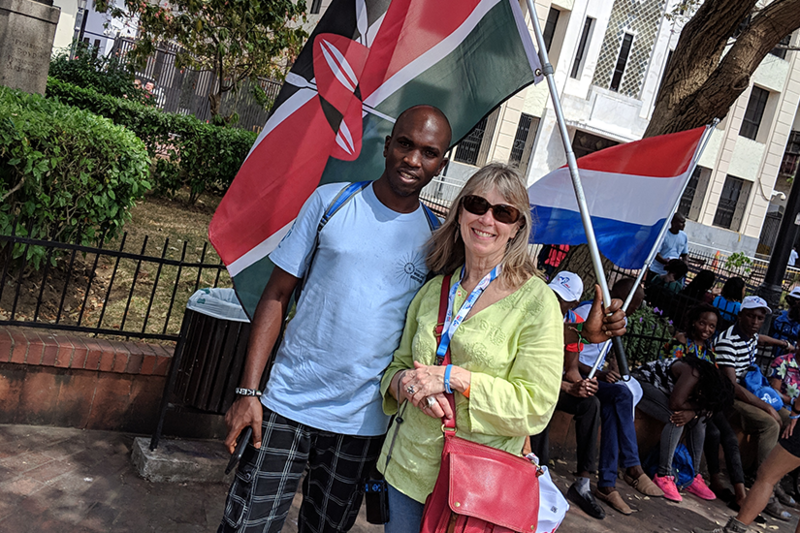 But last fall she consulted with her program advisor and found out that she had earned enough credits for her degree and would not need to return for the spring/summer half of the school year. 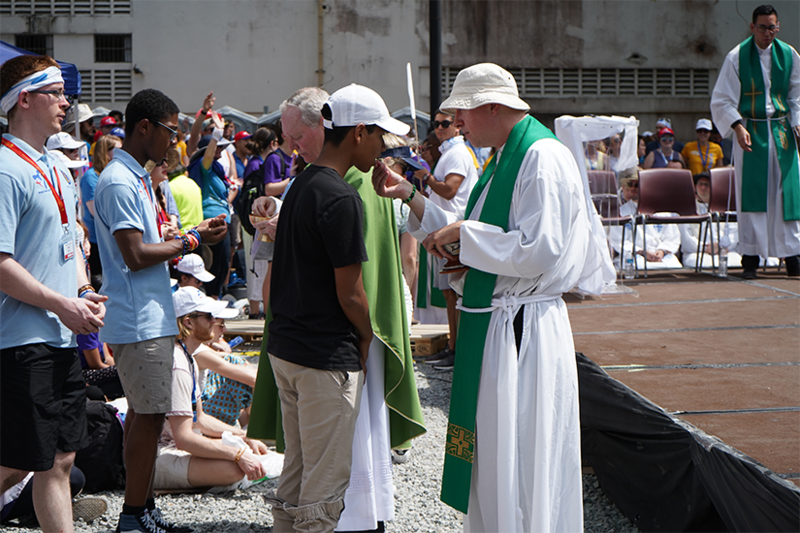 Wong decided that this was a sign and was able to join Catholic Christian Outreach on its mission trip to WYD.